A traditional home had good bones, but lacked an inviting conversation area. 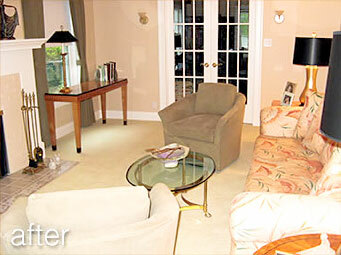 We rearranged the existing furniture and added window treatments and Art Deco lamps for a finishing touch. Now, the room is a delightful example of graceful living.